With Trewin Design Architects placed third. St Martin’s Electric will be a vibrant, commercially viable centre for Brighton’s thriving and growing music and media industries. It will provide much needed writing, rehearsal and recording space for the city’s producers, artists, promoters and labels. The proposal has already generated interest from internationally successful producers and artists outside of Brighton and has the potential to bring new talent into the city and help boost the local economy. In addition to servicing the music industry, the bespoke multi-functional production studios will be designed to appeal to game developers, media and film production companies enabling a rich opportunity for skill sharing and networking. 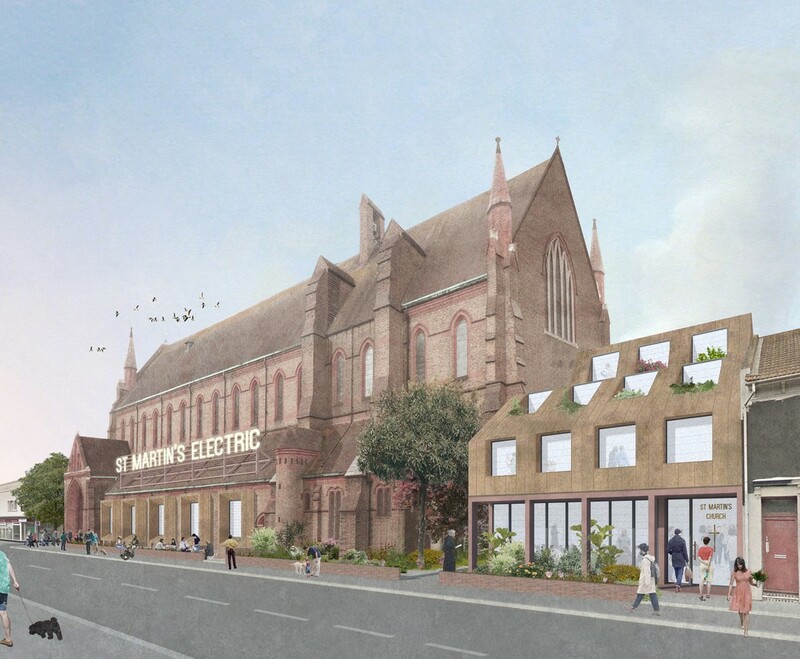 Alongside the operating writing, rehearsal and recording studios, St Martin’s Electric will be designed to accommodate secondary and occasional users from other creative industries including digital, theatre, visual arts and community and charity groups. The flexible performance, rehearsal and live space will be used for gigs, performances, rehearsals and community events including weddings. Gallery and exhibition space will provide a much needed local resource for the many artists and visual arts festivals in the city. Small business incubator units, co-working spaces, well-being, yoga and dance studios, small retail opportunities and a café and bar will bring the space to life, open the doors to the community and ensure that St Martin’s Electric is an inclusive space that contributes to the local economy and regeneration of the area. The congregation of St Martin’s will be rehoused within a welcoming and uplifting purpose-built space for worship within the adjoining Wager Hall site, alongside five new residential units entered via a private entrance. 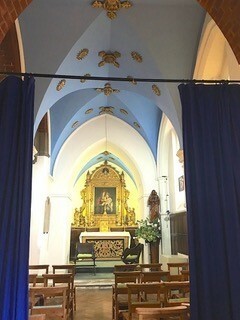 We have brought together a team of specialists who have the passion, experience, knowledge, business and community networks and financial resources to navigate a path from concept to delivery then onwards towards an economically sustainable future which will enable both the beautiful church building and the congregation and wider community of St Martin’s to thrive. “The City of Brighton & Hove has a worldwide reputation as a centre for arts and music. Recently the high cost of living in the City, coupled with a reduction in available local authority funding, has created a challenging environment for musicians. There is reduced funding for the provision of community services and affordable performance spaces for youth groups and charities, for example Carousel who run an ambitious schedule of classes and events where disabled users can explore their creative potential and build personal confidence and self belief. Currently Carousel are unable to provide the full facilities they aspire to, as nothing available meets their requirements. This has created a need within the community for businesses to step up and fill the void created by local authority service cuts. The media market is also changing. The growth of new media, social media and self-created content has rapidly altered studio space requirements. Customers are demanding a more complete high quality service with multi-functional spaces. It’s becoming clear that, from the ashes of an industry in recession, a new business model is emerging whereby services are combined into a mixed creative and community environment, all available under one roof. We are delighted to announce the shortlist for this intriguing competition to find new uses for St Martin’s Church, a beautiful Grade II* building in Brighton. 28 first stage submissions were submitted. Whilst this is not a live project the competition hopes to bring forward solutions that could be implemented in the future. • Graham Turner, Former Chair of Rydon Group and Croydon Tramtrack Ltd. The three short listed teams will be asked to develop their ideas further and attend an interview with the Jury Panel in December 2018. Following the interviews, the winners will be announced. Prizes will be given as follows: First prize: £10,000 Second and third prizes: £6,000. This competition is being managed by Colander Associates and all enquiries should be addressed to stmartinschurch@colander.co.uk. 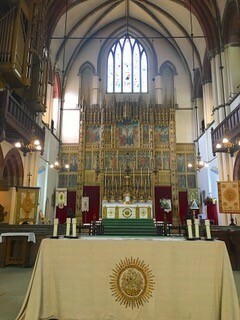 Location: St Martin with St Wilfrid, St Alban and St Richard Hollingdean, Lewes Road, Brighton, Sussex, England, UK. 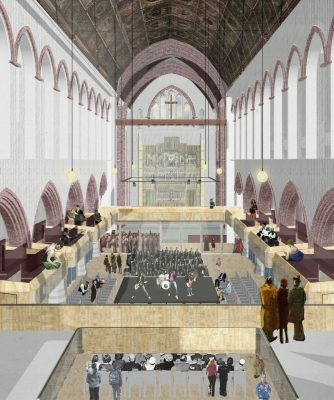 14th of August 2018 – A competitive challenge seeking practical, exciting and commercially viable ideas for the innovative reuse of St Martin’s Church in Brighton. 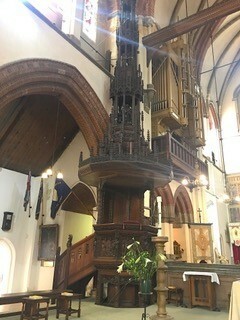 Colander Associates is delighted to announce this intriguing competition to find new uses for this beautiful Grade II* church. Creative solutions are sought that will respect the integrity of this beautiful listed structure whilst at the same time adding new life and economic sustainability. A first prize of £10,000 and two runners up of £6,000 will be awarded for the best solutions. This competition invites teams to think creatively about St Martin’s church and generate innovative but commercially sustainable new uses for this building, which is currently under used and in danger of falling into disrepair. Whilst this is not a live project the competition hopes to bring forward solutions that could be implemented in the future. 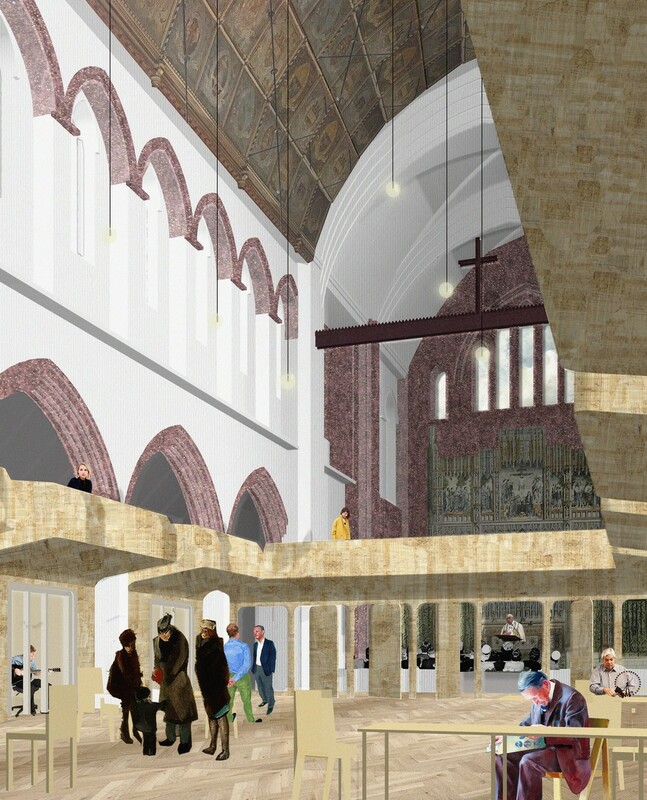 The client, The Diocese of Chichester, supported by A Better Brighton & Hove, is looking to design teams which can include investors, developers or end users, who can demonstrate a viable and practical scheme which is creative and will be the springboard to restoration of this building with huge potential. We are looking for practical regeneration solutions for this magnificent building. Collaborations between Architects, Surveyors, Landscape Architects, Engineers, Developers, Entrepreneurs, Investors, End-Users and any other specialist with ideas to contribute are welcome. Each team should include a registered architect supported by skills to demonstrate viability of ideas. There are no other restrictions on the composition of the team. Teams intending to enter this competition are asked to register their intent by 17.00 hours on Wednesday 12 September. 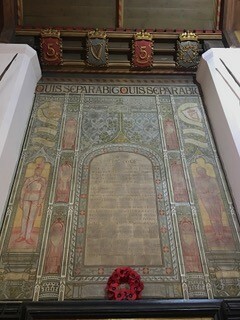 For further information about the project, competitors should visit the St Martin’s Church competition pages at https://www.colander.co.uk/architectural-competitions/colander-competitions/st-martins-churchbrighton. This competition seeks design ideas and will be held in two stages. At stage one competitors will be asked to submit 2 x A2 design boards along with brief explanatory text. Three teams will be shortlisted to stage 2 to develop their ideas further and to attend an interview with the Jury Panel. The three shortlisted teams will each receive a monetary prize. The winning team will receive a prize of £10,000 and the two Runners-Up will receive £6,000 each. Stage 1 submission deadline: Monday 17th September 2018 at 1300 hours.